Compliment your 85HP Rotax Can-Am Commander 1000 with our Gibson Performance UTV Single Exhaust for 2011-13 Can-Am. As a result, see an extra increase of 3-4 rear wheel horsepower and 2-3 mph! 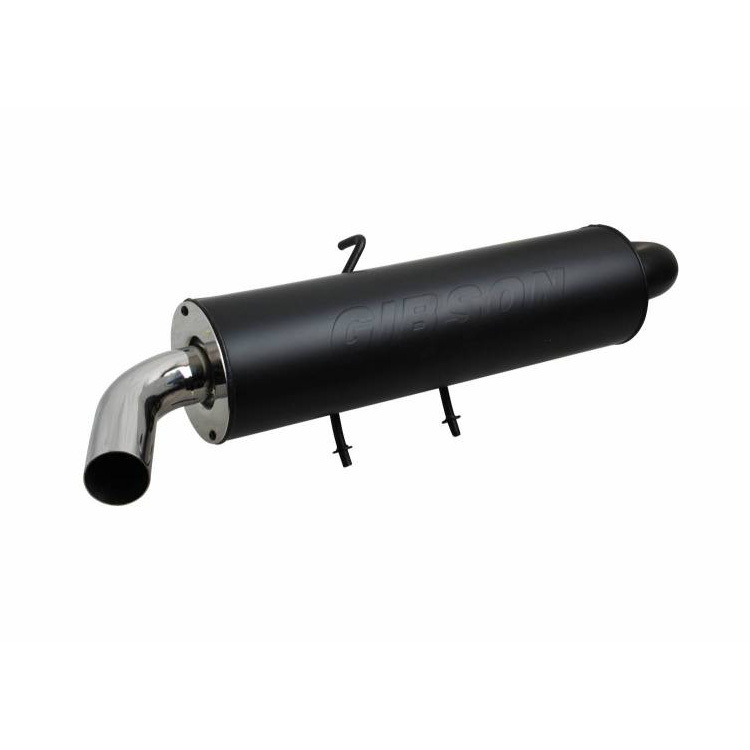 Gibson Superflow non-packed mufflers guarantee a consistent level of sound and performance quality for the lifetime of your vehicle. Also, utilizing a compression spring fitting allows for plenty of movement to handle all types of abuse thereby eliminating the possibilities of breakage. Finally, the Black Ceramic High Temperature Stainless system is finished off with a mirror bright polished T304 Polished Stainless Tip. Of course, all the necessary hardware is included for a complete bolt on hassle free installation. To be sure, Gibson Exhausts produce the lowest sound level on the market and meet all sound requirements. Of course a USFS Approved Spark Arrestor is used. Tip Description: 2-in. 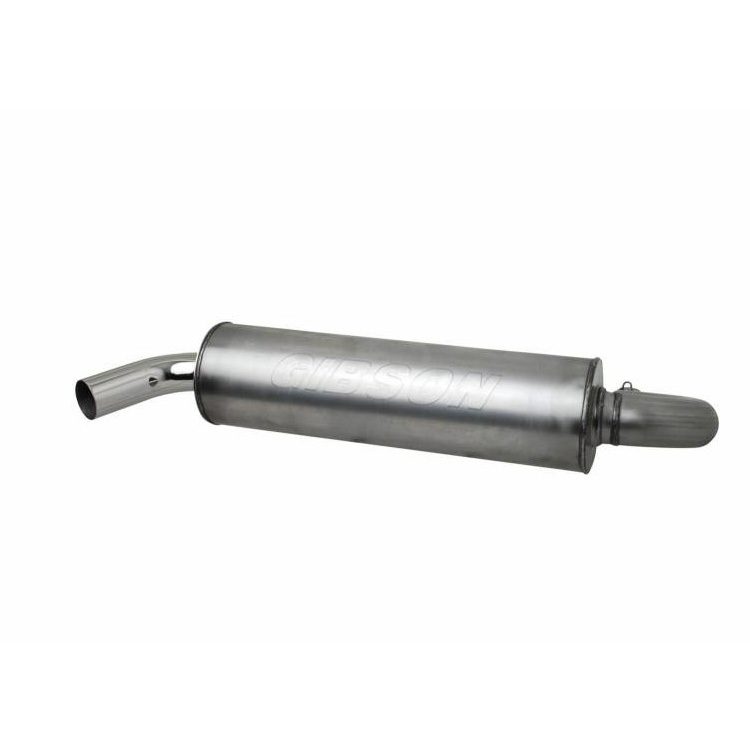 Polished T304 Stainless exhaust turndown tip.